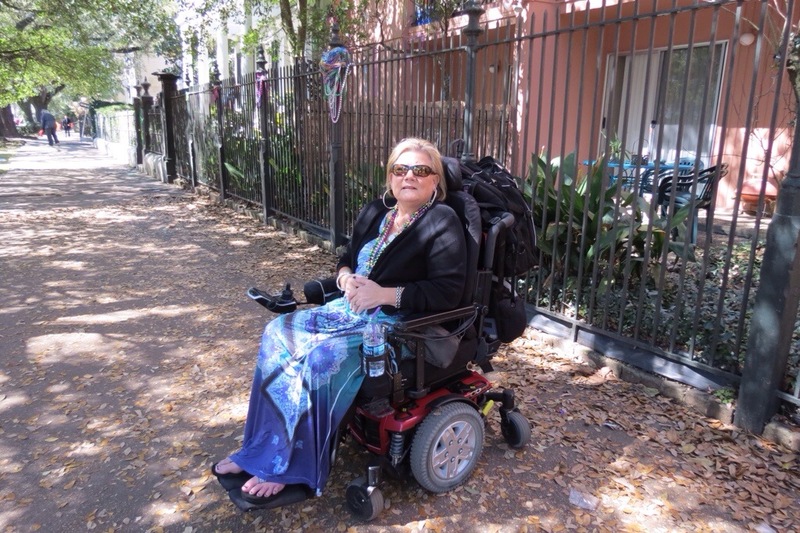 Karen wrote to Team Gleason and expressed an interest in coming to New Orleans for Mardi Gras. 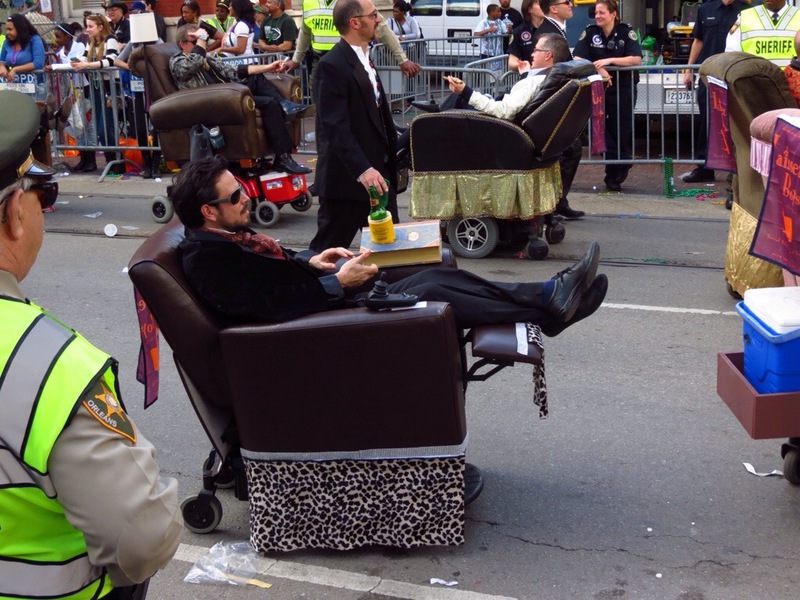 Mardi Gras is an adventure for people without disabilities, much less those with disabilities. She seemed to have a great spirit. So… we were all in! 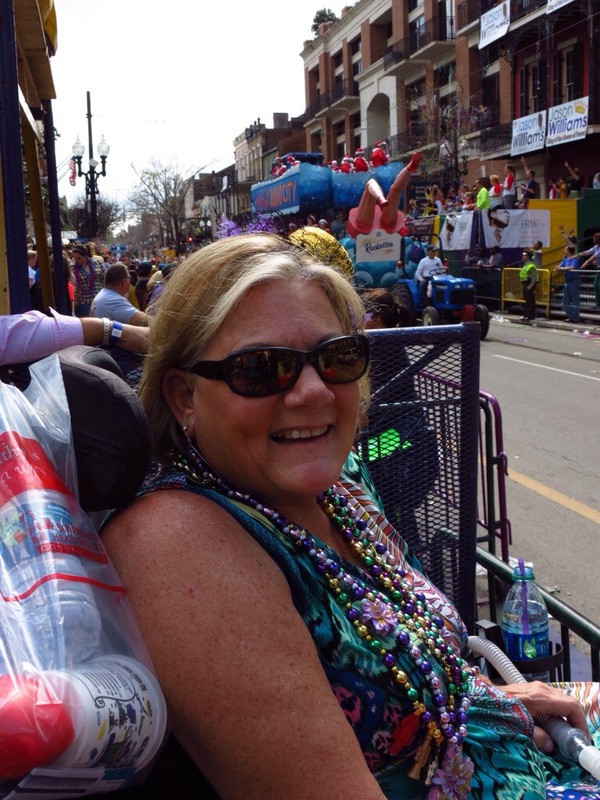 With the money raised for The Gleason Initiative Foundation, we were able to secure hotel room, a van, and a Mardi Gras package for Karen and her husband Bruce. After 18 months of foot drop, back surgery, balance issues and 5 different specialists, on June 20,2012 I was diagnosed with ALS at the age of 51. Funny thing, although it was devastating news, it was almost a relief having an actual diagnosis. I decided I will try to work harder to get through my bucket list. I have always wanted to see New Orleans and visit during Mardi Gras. I thought that I would start planning for Mardi Gras 2015 by contacting the only person that I knew of who lived in New Orleans and was also in a PWC so that I could get a little insight on where to stay, where to go, and what to see. That’s when I contacted Steve Gleason/Team Gleason. Much to my surprise and amazement, I was contacted by you/Team Gleason and offered a chance to come to Mardi Gras 2014. Team Gleason graciously provided our room and van and an awesome spot on the parade routes to see the festivities. 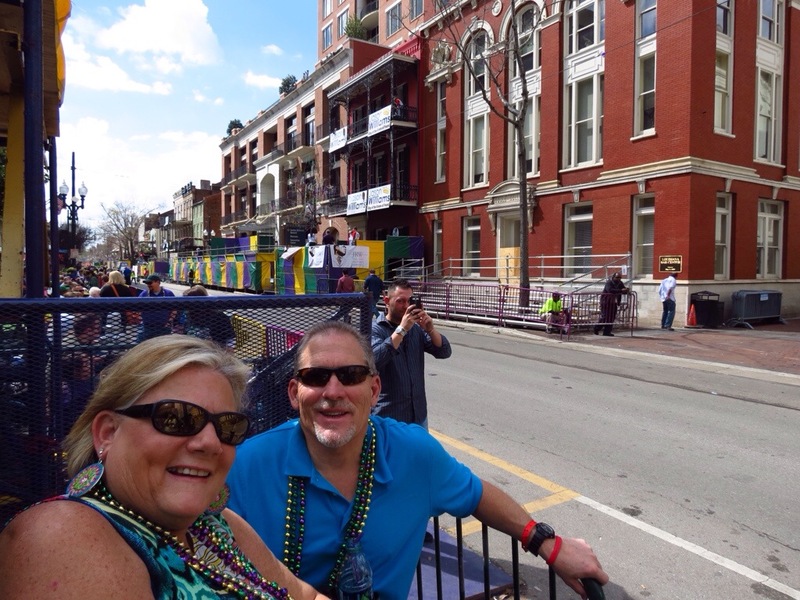 We were already planning a trip to Nashville around the same time as Mardi Gras so we decided to re-route and add a few days to our vacation and go to New Orleans. When we arrived we were met by Lauren Bowman. She was so friendly. She presented us with a great bag of goodies to get us ready for Mardi Gras. We stayed at the Embassy Suites and had a brand new accessible room. The general manager and staff were all extremely friendly and helpful. We strolled around the City and saw so many things. Beautiful historic homes and buildings. We went through an old cemetery. They don’t have anything like them in Phoenix. We went through the French quarter. We attended 5 parades which were all unique and so much fun. We even got to see Hugh Laurie. We ended up with so many beads we had to give 3/4 of them away because we couldn’t bring them all back with us. We even got to meet the Mayor of New Orleans, who by the way, was extremely friendly and kind. The entire experience was one I am so thankful for and one I will never forget. My only regrets was that we didn’t stay longer and see more of the area and more of Louisiana. My other regret was that we didn’t get an opportunity to meet Steve, Michel and Rivers. Steve is going through the same illness as me but the difference is he is only a year older than my oldest son. So, why I can relate to him as a fellow pALS, my heart breaks for him and his family as a mother and grandmother. For someone so young to go through this is wrong. The fact that he has chosen to reach out to others and put a face to this horrible disease is admirable. I applaud his courage as well as that of his wife. Thank you Team Gleason for all you did for me and my husband and for helping check off another item on my bucket list. I’m not sure if I would have made it to New Orleans without you all. Please know that if ANY of you ever make it to the Phoenix area, please call on us. We will try to be as graciously hospitable as Team Gleason was to us. I am attaching a few photos that I will probably send under several emails.